Custom Brick Fences is a highly respected manufacturer of premium custom-designed brick Fences and gates. For over 15 years we’ve been supplying our expert knowledge and product range to the greater Melbourne area including suburbs such as Glen Iris. Our gates and fencing for Glen Iris are explicitly produced with your needs in mind. 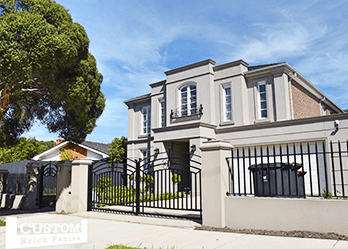 If security is your main concern or you’d like an aesthetically-pleasing gate or fencing in Glen Iris, we guarantee you’ll find the perfect product for your home. At Custom Brick Fences we don’t only specialise in brick fences, our product range is one of the most extensive in all of Melbourne. We offer brick or steel fences that can be designed to match your existing brick work, automatic security gates which offer complete protection for your family, elegant wrought iron gates as well as electric swing gates and more. Whatever your preferred style or requirements for your home, we can design a quality and unique fence or gate catered specifically to your needs. We’re well-known as one of Melbourne’s best centres for brick fences and gates. Glen Iris residents looking for custom-made designs will greatly benefit from our flexibility, quality products and friendly service. Our staff members have been trained to be experts in fences and gates, this means we can answer all your questions and provide solutions for any concerns you may have. Not sure what type of fence or gate you want? 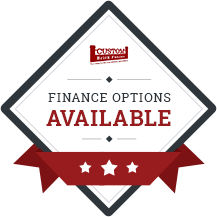 No problem, our staff can help you decided on the most suited fence or gate for you. For high quality brick fences and gates that Glen Iris homeowners rely on, contact Custom Brick Fences.